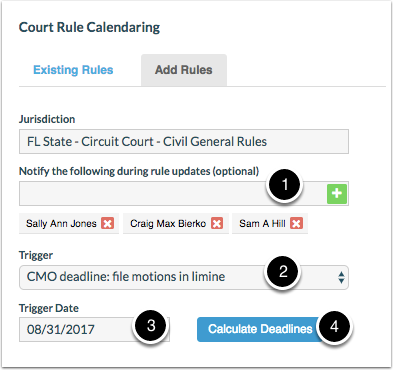 Rocket Matter Knowledge Base LawToolBox - Court Rule CalendaringHow to add a rule for court rules calendaring for a specific matter. 1. 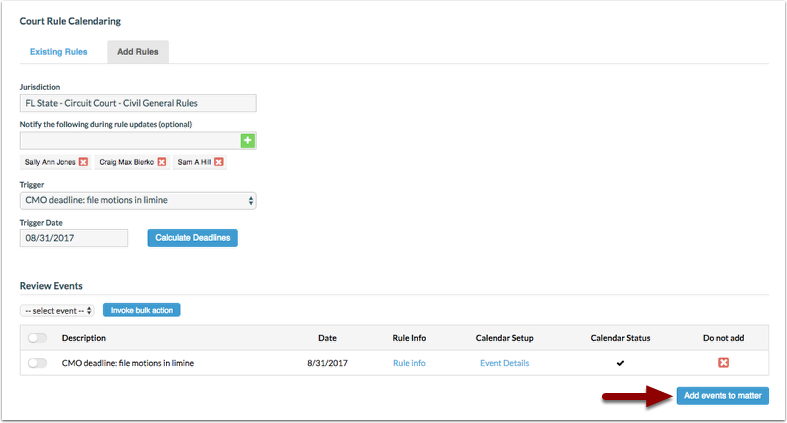 Go to the matter you'd like to add the court rule for and then click on 'court rules. 2. The jurisdiction will be set to your default jurisdiction. 4. Review calculated events, select those or all that apply. 6. Enter billing date to the event. 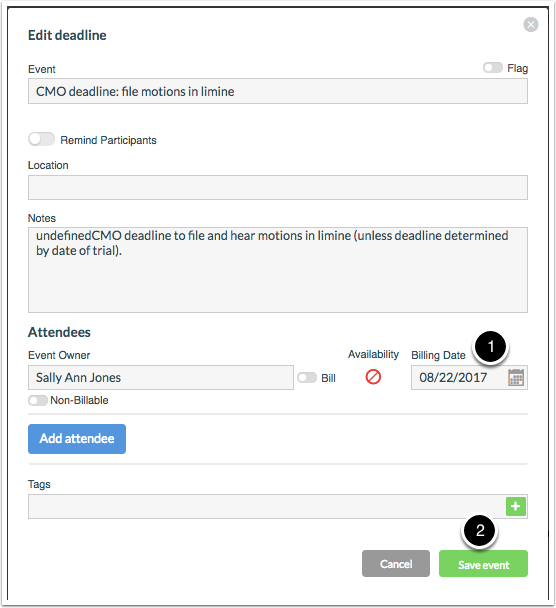 Remind participants, location, additional notes and tags (if applicable) and save event. 7. Add events to matter. 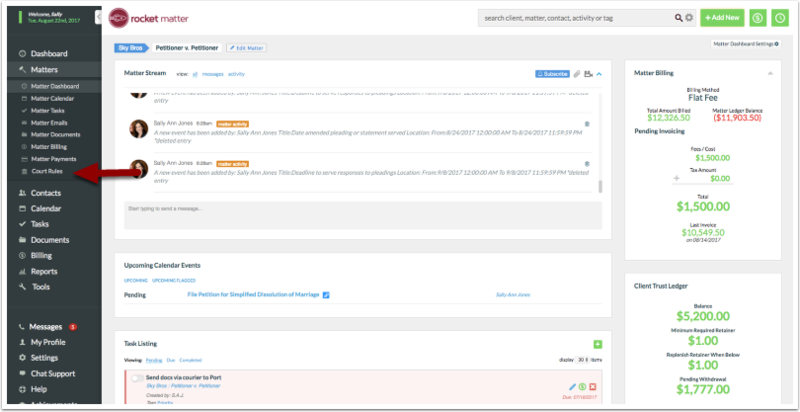 Prev: How to integrate my existing LawToolBox account with Rocket Matter. 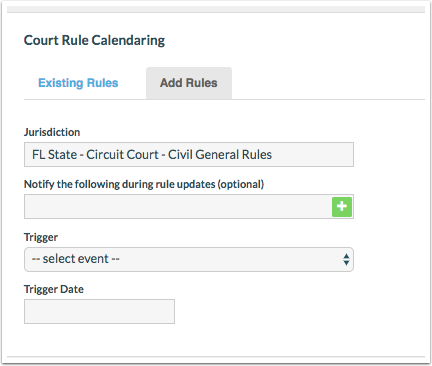 Next: How to modify/delete existing court rules.